I know you will want to check this out. If you want news, you know where to go na…or gist and gossips, not here too biko. But if you are looking for ideas that will inspire.develop.employ.activate you, you’re in the right place. So welcome to the i.d.e.a. 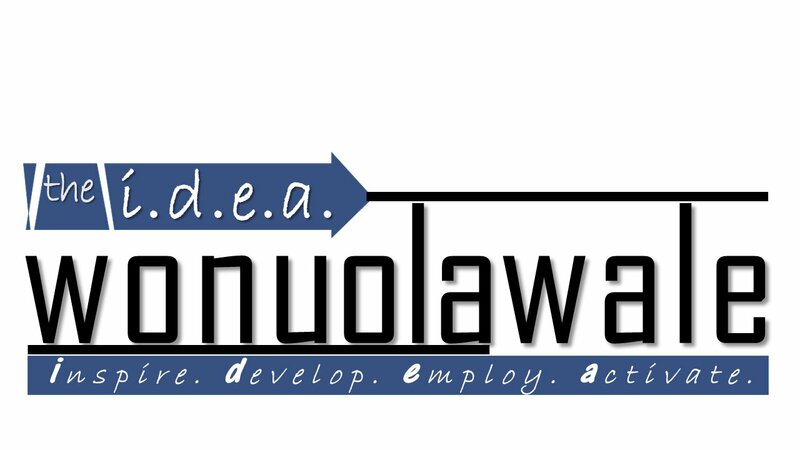 Wonuolawale brand page. That’s from outer space. The creativity is splendid. The way the letters were carved out from that acronym ” idea” blew me away. If one can think like this, one can as well see through the wall. What you see is what you get. What the heart craves for, the hand can reach out to it. Well planned and activated actionsm can bring about one’s daily goal. Trusting your daily goals and keeping them on can make your dreams a reality. You can make your idea work if you don’t quit. Trust it. If it is revealed, then, it can be delivered unto you. Dreams do come through. Go ahead! Slack not! For whatever a man conceived, he can contain.